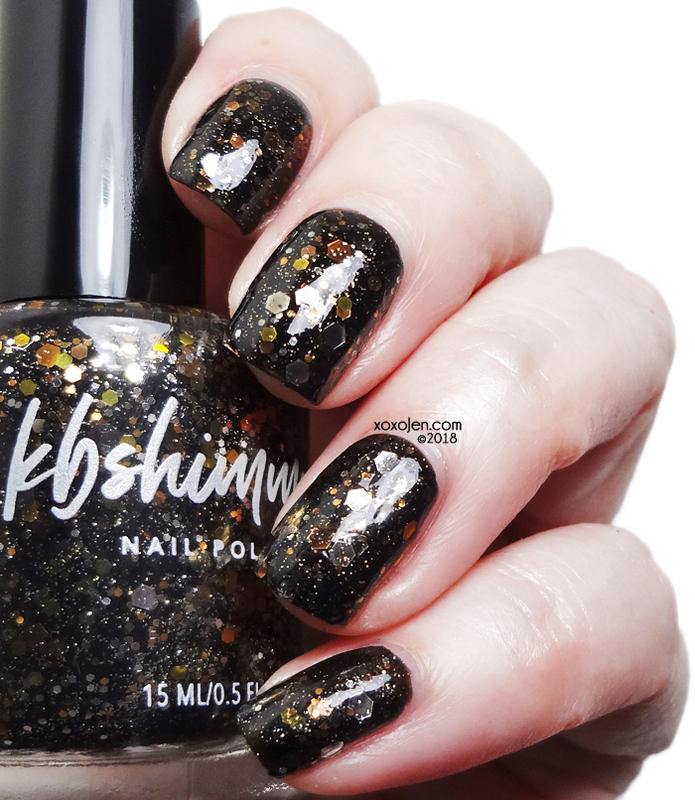 KBShimmer is excited to be celebrating their 10th year in business this month. They are doing something a bit different: releasing a throwback collection of 8 fan favorites from 2012 and 2013. They are also offering their show special bag sale with the throwback collection launch at 11pm Central, August 14. The collection consists of eight polishes that were remade this year with updated recipes; very close to original but better! I'm wearing two coats of each polish unless otherwise stated, the formula for each was really good. No pulling or clumping, consistency of the base stayed where I put it. If you didn't try the originals before, now's your chance! 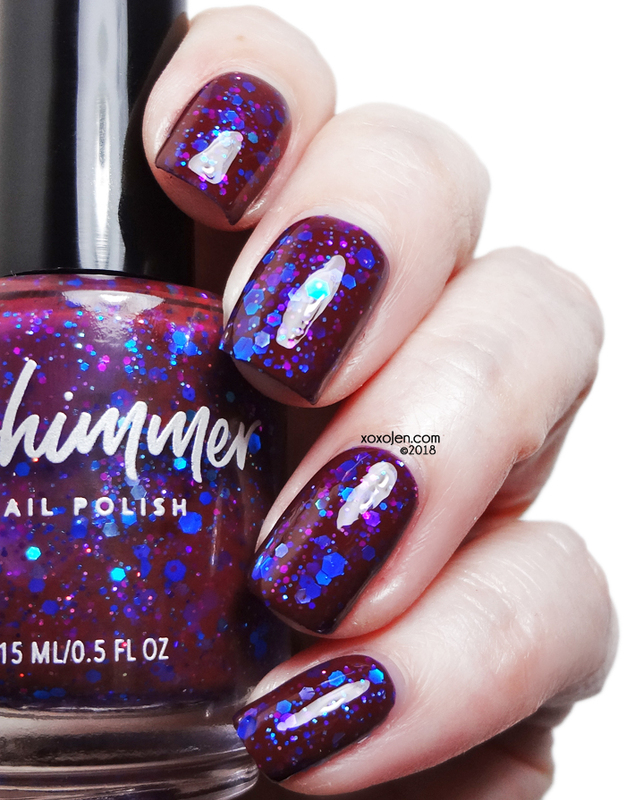 Berry Patch (2012) – This polish was inspired by a fresh berry smoothie that Christy's daughter loves. A creamy pink base with blue undertones sets off a scattering of large blueberry hex glitter, small raspberry hex glitter, holographic pink glitter and micro strawberry red glitter and raspberry pink glitter. Bits of ice, in the form of holographic sliver glitter complete this yummy treat. 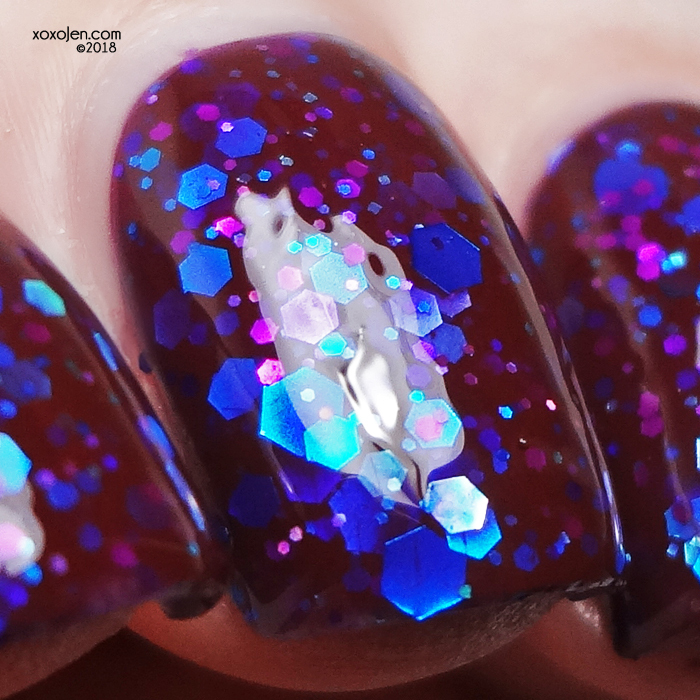 No Whine Left (2012) – A deep plum, almost burgundy wine color, this polish is loaded with blue, aqua, fuchsia, and purple hex glitters in several sizes. 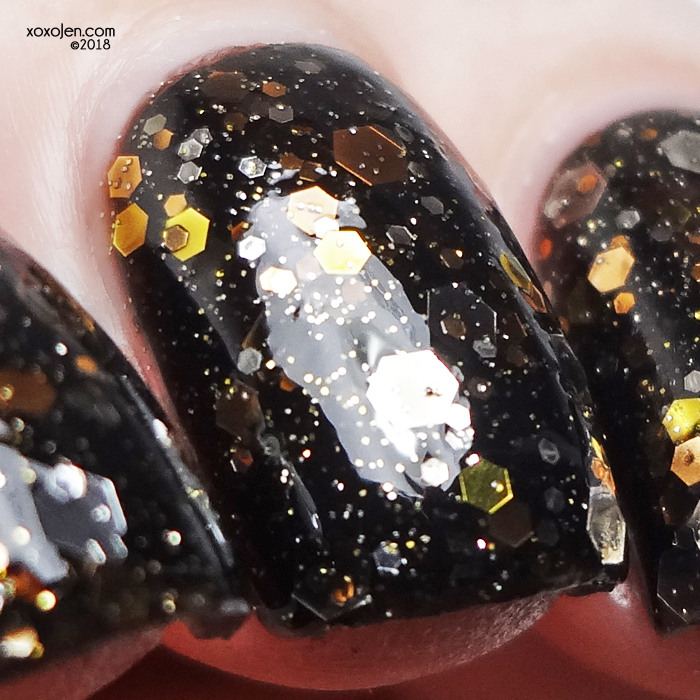 The glitters pop out in different lights, adding depth to thiscrelly polish. Band Geek (2012)- Like Christy, I was a band geek. I also played the flute! Band was a an important part of my life and when I first saw Band Geek in 2012, I bought it! Band Geek has a black jelly base to represent the oboe and clarinet, several sizes of silver, copper, and gold to capture the flutes, horns, drums, and the rest of the band. 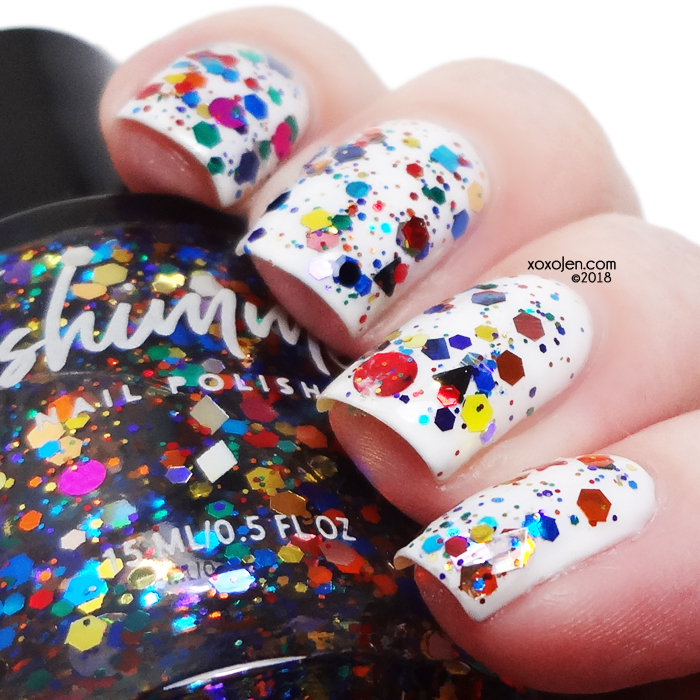 Clown Puke (2012) – Inspired by the color, fun, and wonder of a circus, Christy created a glitter bomb polish named Clown Puke! 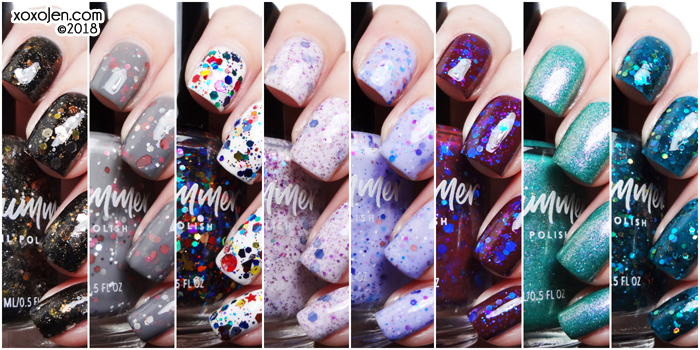 Packed with glitter in a variety of colors and shapes, each batch will be slightly different. I wore one coat over two coats of Pretty Serious Presence. I didn't fish for or place any of the glitter, what you see on the nail is how it landed from the brush. I added a coat of Gelous and finished with KBShimmer Clearly on Top topcoat for a glassy shine. 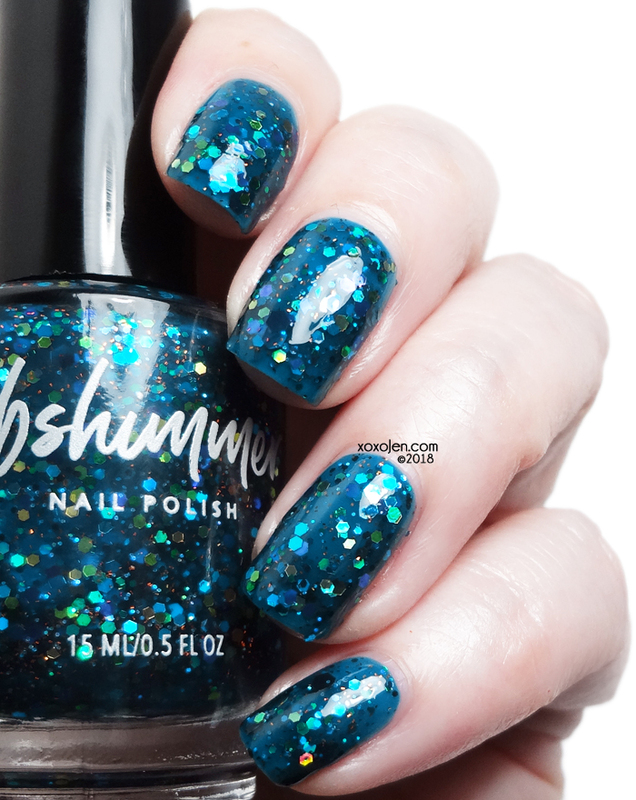 Shipwreck (2012) – Ships lost at sea, churning waters, mythical creatures and lost treasures inspired this polish. 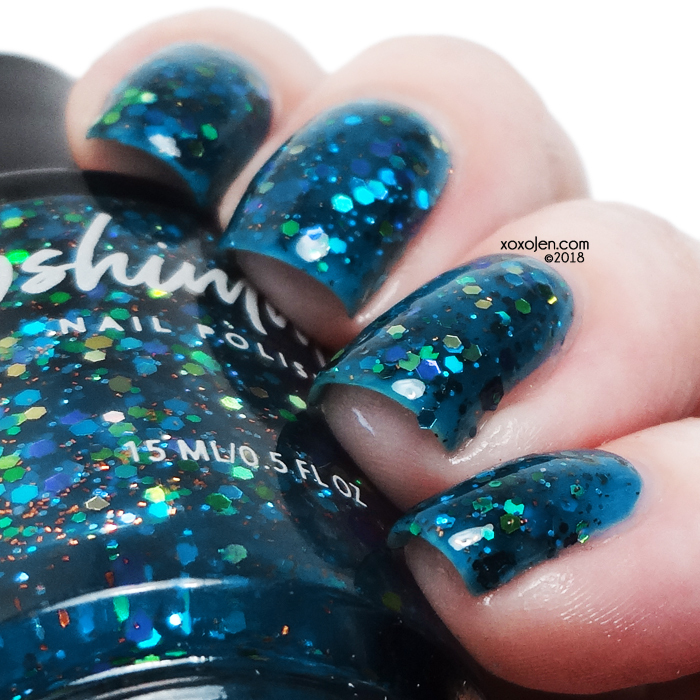 The base is a deep blue green jelly, with several sizes of hex glitter in teal, blue, green, and purple. 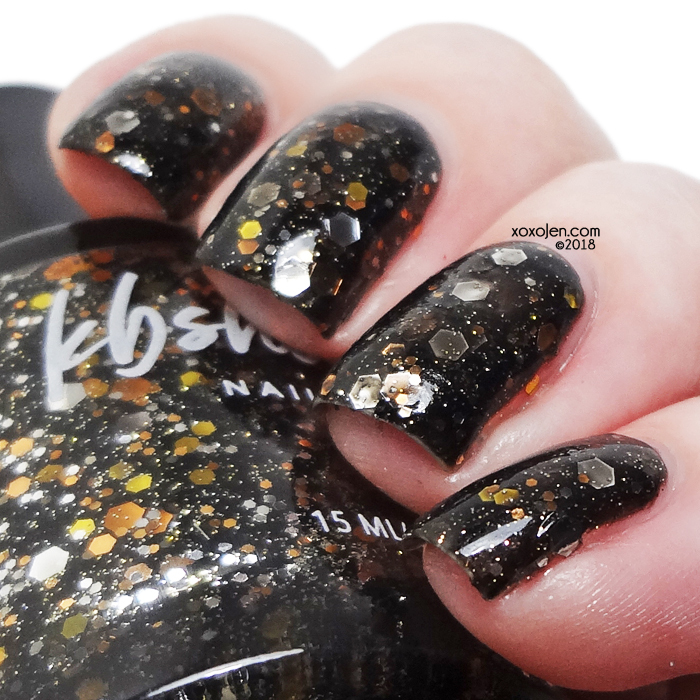 A hint of gold, and a pop of copper sparkle like hidden treasure add depth to this polish. 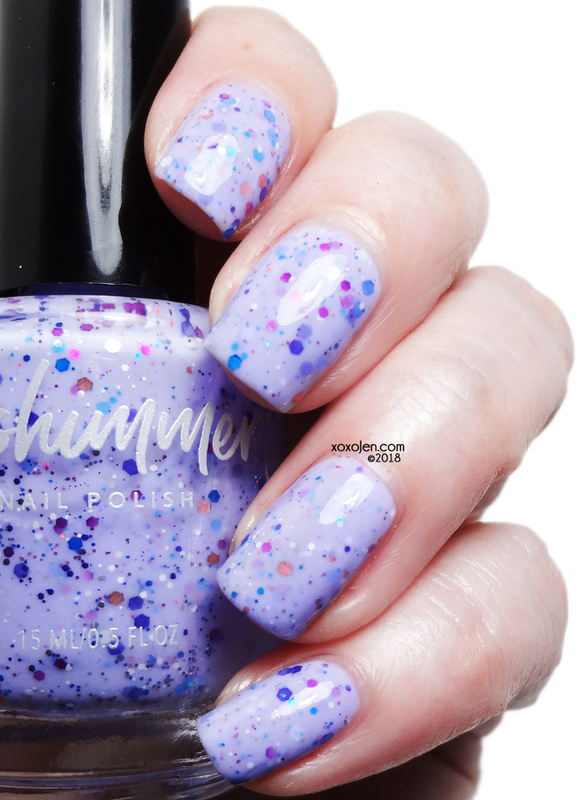 Elle (2012) - Elle is the nail polish elephant from the 2012 Circus Collection. A pale grey jelly color with a variety of pink, white, and grey glitters that result in a polish that is soft and beautiful. 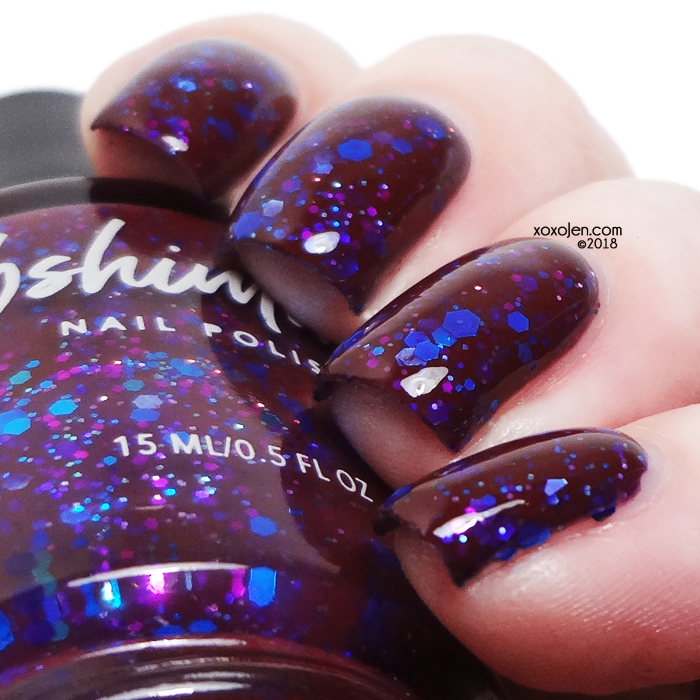 Iris My Case (2013) – Inspired by Iris, Lilacs, and Violets, this polish begins with a soft purple crelly base. It is filled with small glitters in pink, purple, white, periwinkle and blue. Teal Another Tail (2013) - A dusty teal green polish with a strong pink almost duo-chrome shimmer, just like a mermaid’s tail might look! 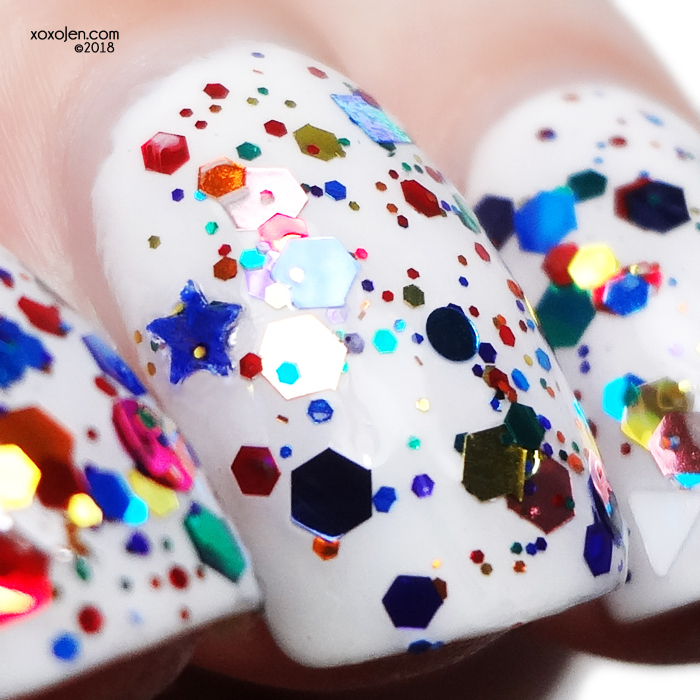 Micro holographic glitters add shine and sparkle. Dries with a matte finish or top it for a glossy look. Now that I have swatched and worn a few from this collection, I'm excited that we all get a second chance to get them! What will you be picking up? 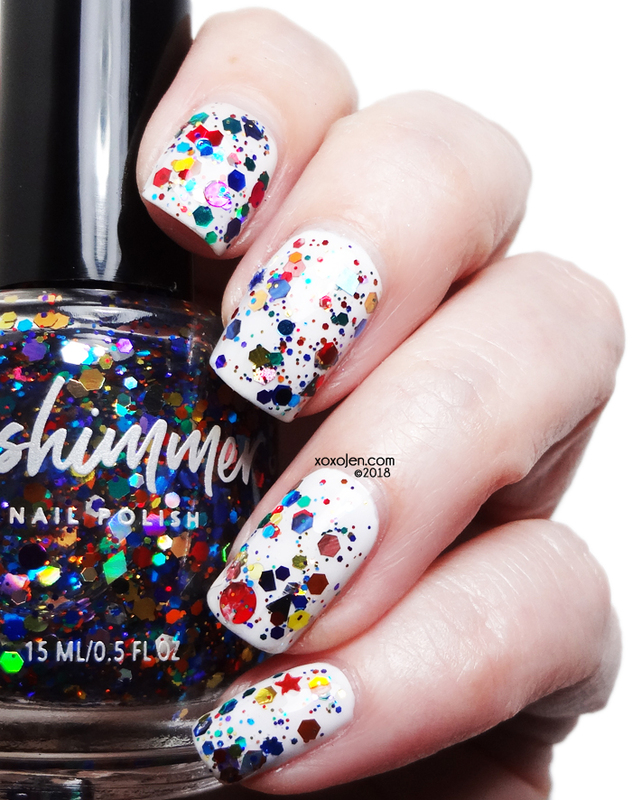 Visit KBShimmer to get yours on 11pm Central, August 14. These look amazing! Great job! I actually remember all of these except Elle! Your swatches are perfeect!